Dynamics CRM, doesn’t offer anything out-of-the box for accomplishing any of the above objectives. Ecmascript 6 will offer the much needed module feature1, but until all major browsers support Ecmascript 6, we can use any of the open-source script loaders. My framework of choice is require.js. Here is how the solution webresources are organised. We first have to add the first two scripts, inside Dynamics CRM. Here is the console output during script load. 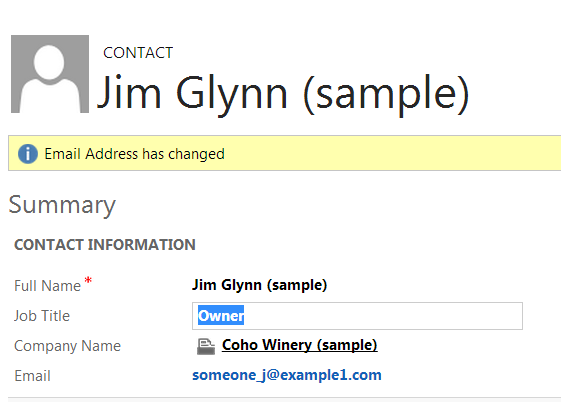 Now we will verify whether the field change event handler fires on change of email field. Now we will verify if the form save event is firing. We have now successfully used requirejs to load scripts in Dynamics CRM. 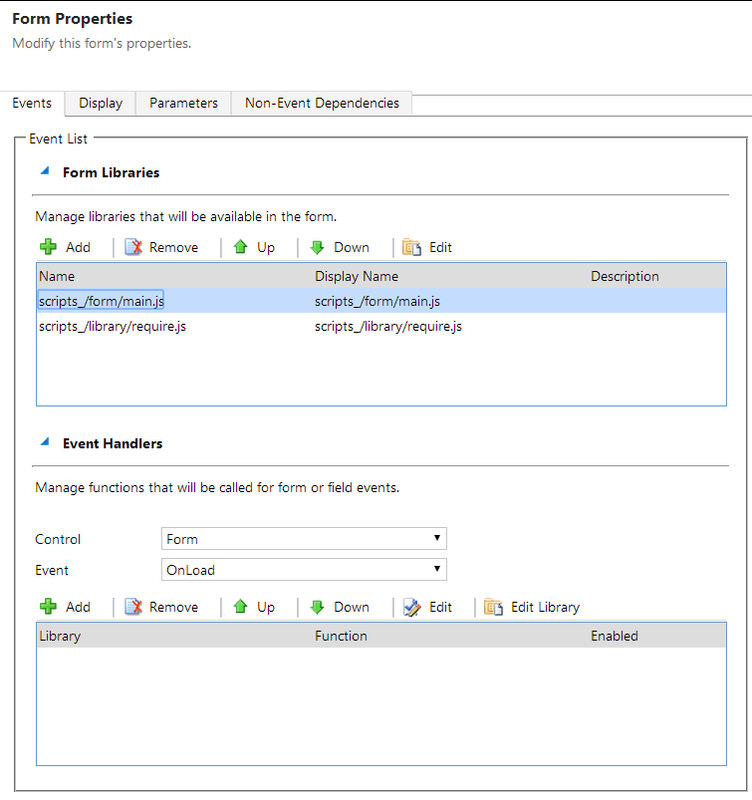 EDIT (23/01/15): Have a look at https://dreamingincrm.com/2015/01/14/an-alternative-approach-to-loading-form-scripts-in-dynamics-crm/ for supported option using IFrame.